TCM is kicking off its Summer Under the Stars film festival with 24 hours of Marilyn Monroe movies. TCM's August lineup is devoted to its annual Summer Under the Stars film festival, which offers 24 hours of films from a different actor for the next 31 days. This year's lineup kicks off on Tuesday with old Hollywood icon Marilyn Monroe, followed by leading man Ray Milland; silent star Lon Chaney; character actor Claire Trevor; dancer Gene Kelly, and 100th birthday gent Robert Mitchum. I'll have a complete rundown of this week's SUTS lineup after I give the rundown for Monday's films. All of the highlighted titles have links to full length articles. 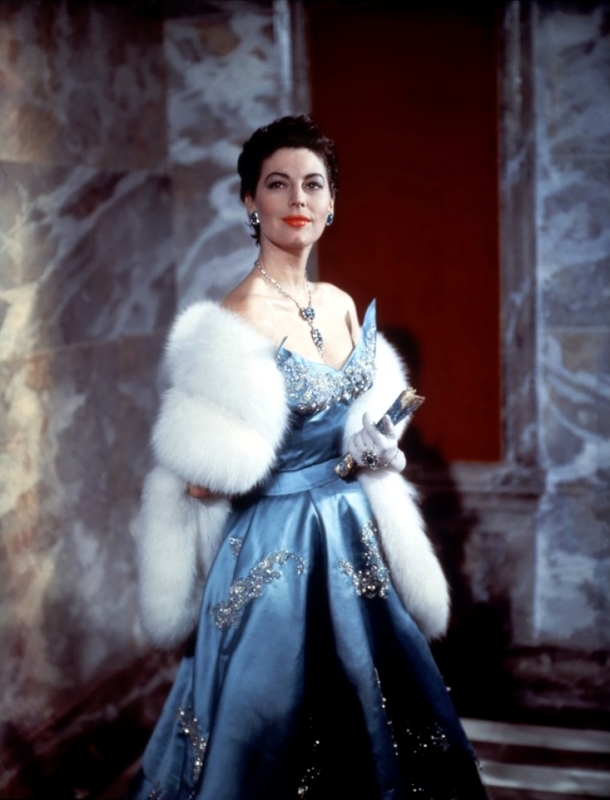 Ava Gardner as Maria Vargas in The Barefoot Contessa (1954). Three daytime picks: The theme is movies about filmmaking starting with Kirk Douglas as a monomaniacal producer who steamrolls everyone in his path in The Bad and The Beautiful (1952) at 8 p.m. Next, washed-up director Humphrey Bogart plays Svengali to beautiful dancer Ava Gardner in The Barefoot Contessa (1954) at 2:15 p.m. Finally, French film director Francois Truffaut plays an auteur who has endless troubles with his cast and crew while filming his latest project in Day for Night (1973) at 4:30 p.m.
Prime time lineup: Tonight's lineup celebrates actor, producer and director Diane Keaton, who is the recipient of the 2017 American Film Institute Life Achievement Award. The evening begins at 8 p.m. with the AFI ceremony followed by her Academy Award-nominated performance as a journalist who covers the Russian Revolution in Reds (1981) at 9:30 p.m.
Late night pick: Keaton and frequent collaborator Woody Allen investigate a Manhattan Murder Mystery (1993) at 2:30 a.m.
Marilyn Monroe: This iconic blonde bombshell is still one of the most recognizable movie stars in the world. The Lineup: Ladies of the Chorus (1949) at 6 a.m.; Clash by Night (1952) at 7:30 a.m.; The Asphalt Jungle (1950) at 9:30 a.m.; Some Like It Hot (1959) at 11:30 a.m.; Love Nest (1951) at 2 p.m.; There's No Business Like Show Business (1954) at 3:45 p.m.; Bus Stop (1956) at 6 p.m.; The Seven Year Itch (1955) at 8 p.m.; Niagara (1953) at 10 p.m.; River of No Return (1954) at midnight; How to Marry a Millionaire (1953) at 2 a.m., and The Prince and the Showgirl (1957) at 4 a.m.
Bio: Born Norma Jeane Mortenson on June 1, 1926, in Los Angeles, Monroe broke into modeling and acting after enduring a hard childhood in which she was shuttled from home to home. Monroe made little impact during the late 1940s (her best-known performance was as a gold-digging showgirl in Ladies of the Chorus), but she began to make a name for herself in the early 1950s in supporting parts in films noir like Clash by Night and The Asphalt Jungle (she's sensational in this one as the much younger girlfriend of a sleazy lawyer) and comedies like Love Nest. 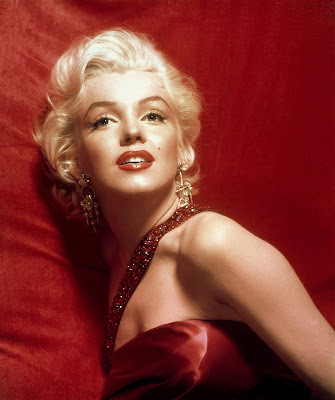 1953 was a breakthrough year for Monroe thanks to her seductive role in the Technicolor noir Niagara and her spot-on comic performance in How to Marry a Millionaire. She then went on to score top box-office hits in the action-adventure Western River of No Return and writer and director Billy Wilder's marital comedy The Seven Year Itch (this is the film in which Monroe's skirt flies up when she stands over a passing subway grate). A rare misstep was the hokum-filled Irving Berlin musical, There's No Business Like Show Business. In her later career, Monroe got a chance to show off her considerable acting chops in the movie adaptation of William Inge's play Bus Stop, and she also scored top marks with audiences and critics in the delightful comedies The Prince and the Showgirl and Some Like It Hot. 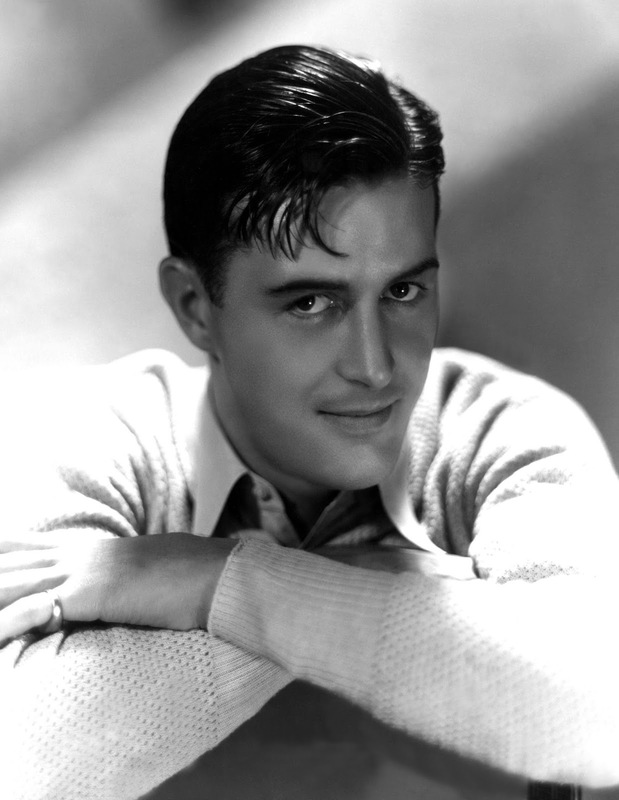 Ray Milland: One of old Hollywood's most enduring actors, Milland went from matinee idol to Oscar-winning leading man. The Lineup: Wise Girl (1937) at 6 a.m.; Bulldog Drummond Escapes (1937) at 7:15 a.m.; Irene (1940) at 8:30 a.m.; Night into Morning (1951) at 10:15 a.m.; Panic in Year Zero (1962) at noon; Let's Do It Again (1953) at 2 p.m.; A Life of Her Own (1950) at 4 p.m.; The Major and the Minor (1942) at 6 p.m.; The Big Clock (1948) at 8 p.m.; Dial M for Murder (1954) at 10 p.m.; Alias Nick Beal (1949) at midnight; The Lost Weekend (1945) at 2 a.m., and The Hostile Witness (1969) at 4 a.m.
Bio: Born Alfred Jones on Jan. 3, 1907, in Neath, Wales, Milland served in the British cavalry before breaking into films. His first success came as a matinee idol opposite popular leading ladies like Miriam Hopkins in the screwball comedy Wise Girl and Anna Neagle in the musical Irene (Milland returned to his musical roots in tuneful remake of The Awful Truth, Let's Do It Again); however, Milland began to make a name for himself as the suave gentleman adventurer in the murder mystery Bulldog Drummond Escapes and in the Billy Wilder rom-com, The Major and the Minor. Milland's career took a more serious turn after he won an Oscar for his searing performance as an alcoholic writer in The Lost Weekend (he plays a somewhat similar role in Night into Morning). This led to meaty parts in the films like The Big Clock (Milland plays an innocent man who is framed for murder) and A Life of Her Own (Milland plays a copper-mine owner who romances Lana Turner). In his later career, Milland often played villains such as the would-be wife murderer in the Hitchcock thriller Dial M for Murder, and he even took a turn as the Devil himself in the fantasy/noir Alias Nick Beal. Milland made several science-fiction fims in the 1950s and 1960s, including the nuclear apocalypse drama Panic in Year Zero. He also tried his hand at directing in the courtroom drama Hostile Witness. Milland also stars in this adaptation of his stage success about a London barrister whose daughter is killed in a hit-and-run accident. Lon Chaney: This Man of a Thousand Faces still haunts audiences today with his intimately human gallery of grotesques. The Lineup: The Penalty (1920) at 6 a.m.; The Monster (1925) at 7:45 a.m.; Oliver Twist (1922) at 9:15 a.m.; The Blackbird (1926) at 10:45 a.m.; The Ace of Hearts (1921) at 12:30 p.m.; The Unknown (1927) at 2 p.m.; Mr. Wu (1927) at 3 p.m.; Unholy Three (1925) at 4:45 p.m.; He Who Gets Slapped (1924) at 6:30 p.m.; The Phantom of the Opera (1925) at 8 p.m.; Laugh, Clown, Laugh (1928) at 9:45 p.m.; Tell It to the Marines (1926) at 11:15 p.m.; West of Zanzibar (1928) at 1:15 a.m.; Where East Is East (1929) at 2:45 a.m., and The Unholy Three (1930) at 4:15 a.m.
Bio: Born Leonidas Chaney on April 1, 1883, in Colorado Springs, Colo., Chaney grew up in a home with deaf parents. As a result, he gained an extraordinary skill at pantomime that led to a career in vaudeville, where he picked up his knack for using contortion and makeup to play a wide variety of characters. Chaney's breakthrough role was as an amputee mobster in the crime film The Penalty, but he also played more conventional parts in his early career such as the tormented Bolshevik in The Ace of Hearts and as an appropriately villainous Fagin opposite child star Jackie Coogan in Oliver Twist. Chaney kicked off the most fertile part of his career with the circus drama He Who Gets Slapped. His other roles during this period were as a mad scientist in The Monster; a sideshow ventriloquist turned gangster in Unholy Three (the sound remake, The Unholy Three, is airing in late night); the title character in The Phantom of the Opera; an intense drill sergeant in Tell It To the Marines, and as a notorious thief who masquerades as a kindly gentleman in The Blackbird. 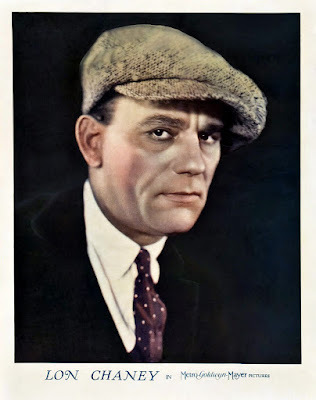 Chaney continued to make films such as the circus dramas The Unknown and Laugh, Clown, Laugh, the revenge drama Mr. Wu, and the exotic adventure films West of Zanzibar and Where East Is East until his untimely death in 1930. 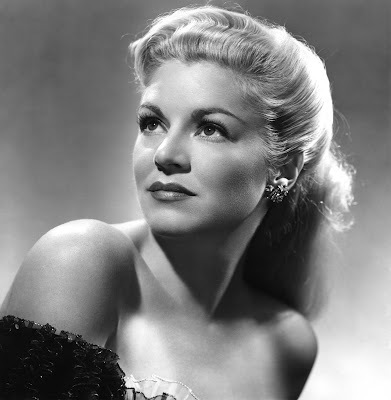 Claire Trevor: This Academy Award-winning actress was most prolific in noirs and Westerns. The Lineup: Dead End (1937) at 6 a.m.; The Amazing Dr. Clitterhouse (1938) at 7:15 a.m.; Allegheny Uprising (1939) at 9:15 a.m.; The Desperadoes (1943) at 11 a.m.; The Stranger Wore a Gun (1953) at 12:30 p.m.; Best of the Badmen (1951) at 2 p.m.; Black Sheep (1935) at 3:30 p.m.; Raw Deal (1948) at 5 p.m.; Johnny Angel (1953) at 6:30 p.m.; Born to Kill (1947) at 8 p.m.; Murder, My Sweet (1944) at 10 p.m.; Crack-Up (1946) at midnight; Key Largo (1948) at 2 a.m., and Borderline (1950) at 4 a.m.
Bio: Trevor was born Claire Wemlinger on March 8, 1910, in Brooklyn. After attending drama school, she started getting small parts in Hollywood such as her role as a gold-digging socialite in Black Sheep and as a gangster's moll in The Amazing Dr. Clitterhouse, but her real breakthrough role was in crime drama Dead End, in which she gives a fearless performance as a broken-down former prostitute. Trevor's box-office success opposite frequent co-stars John Wayne (Allegheny Uprising) and Randolph Scott (The Desperadoes; The Stranger Wore a Gun) led to a profitable career in Westerns such as the all-star oater Best of the Badmen. The emergence of film noir in the Postwar period also gave Trevor many memorable roles. She plays femmes fatales for the ages in Murder, My Sweet, and Born to Kill, but she also played sympathetic girlfriends in Crack-Up, Raw Deal, and Johnny Angel. Trevor won a much-deserved Oscar for her stellar work as an alcoholic gangster's moll in Key Largo. This led to some interesting parts in the 1950s such as her lead role in Borderline as a police officer who is determined to nail a powerful drug smuggler (Raymond Burr). 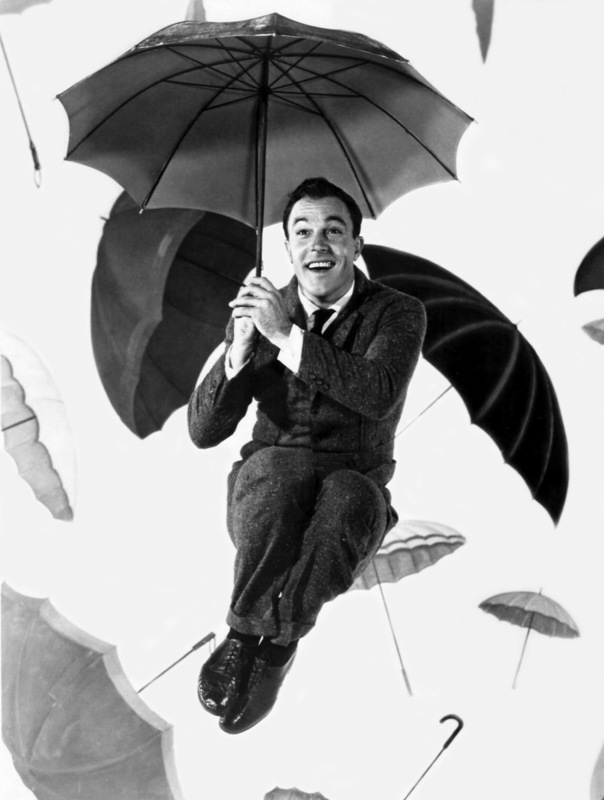 Gene Kelly: A phenomenal singer, dancer, and actor, Kelly will always be remembered for his soggy dance number in Singin' in the Rain. The Lineup: Summer Stock (1950) at 7:30 a.m.; The Pirate (1948) at 9:30 a.m.; Brigadoon (1954) at 11:30 a.m.; Take Me Out to the Ballgame (1949) at 1:30 p.m.; The Three Musketeers (1948) at 3:15 p.m.; Anchors Aweigh (1945) at 5:30 p.m.; Singin' in the Rain (1952) at 8 p.m.; Inherit the Wind (1960) at 10 p.m.; On the Town (1949) at 12:30 a.m.; It's Always Fair Weather (1955) at 2:15 a.m., and Cover Girl (1944) at 4 a.m.
Bio: Born Eugene Kelly on Aug. 23, 1912, in Pittsburgh, he worked as an instructor at his family's dance studio and as a choreographer in local stage plays until he finally hit it big in the Broadway musical Pal Joey. This led to offers from Hollywood, where he played opposite Rita Hayworth in Cover Girl and gained widespread attention for his dance with cartoon characters Tom and Jerry in Anchors Aweigh. Kelly became a top MGM star opposite leading ladies like Judy Garland (Summer Stock), Lana Turner (The Three Musketeers), and Esther Williams (Take Me Out to the Ball Game), but he and director Vincente Minnelli also experimented with the musical as an art form in The Pirate and Brigadoon. Increasingly, Kelly took creative control of his own films. He and Stanley Donen co-directed the landmark musicals On the Town, Singin' in the Rain, and It's Always Fair Weather. Kelly also took on a rare dramatic part in the courtroom drama Inherit the Wind. 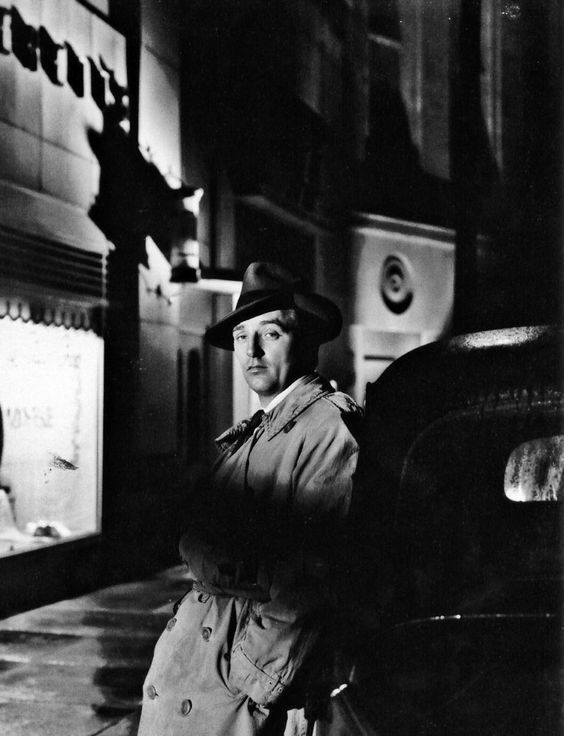 Robert Mitchum: This iconic leading man exuded cool machismo in his roles in film noir, war films, and Westerns. The Lineup: The Locket (1946) at 6 a.m.; When Strangers Marry (1944) at 7:30 a.m.; Crossfire (1947) at 9 a.m.; Holiday Affair (1949) at 10:30 a.m.; His Kind of Woman (1951) at noon; Angel Face (1953) at 2:15 p.m.; The Story of G. I. Joe (1945) at 4 p.m.; The Wonderful Country (1959) at 6 p.m.; The Night of the Hunter (1955) at 8 p.m.; Out of the Past (1947) at 10 p.m.; Thunder Road (1958) at midnight; The Enemy Below (1957) at 2 a.m., and Going Home (1971) at 4 a.m.
Bio: Born Aug. 6, 1917, in Bridgeport, Conn., Mitchum led a peripatetic life until he landed in Hollywood, where he started getting small but significant roles in films like the thrillers When Strangers Marry and The Locket. Mitchum's breakthrough roles were as a world-weary lieutenant in The Story of G.I. Joe and as a sympathetic marine in Crossfire, but he became a major box-office draw thanks to his turn as a cynical private eye in the landmark noir Out of the Past. Mitchum then became one of old Hollywood's most sought-after leading men in Postwar Hollywood. He appeared quite frequently in noirs (His Kind of Woman; Angel Face) and Westerns (The Wonderful Country) but he also did the occasional romantic comedy such as his performance as a drifter who romances war widow Janet Leigh in Holiday Affair. Mitchum's later roles included villainous preacher/ex-convict Harry Powell in The Night of the Hunter; a wily Navy destroyer captain in The Enemy Below, and a backwoods bootlegger in Thunder Road. Mitchum was one of the few old Hollywood stars who continued to be a box-office draw in the Vietnam era in such films as the family drama Going Home.